So many October new releases… seriously. 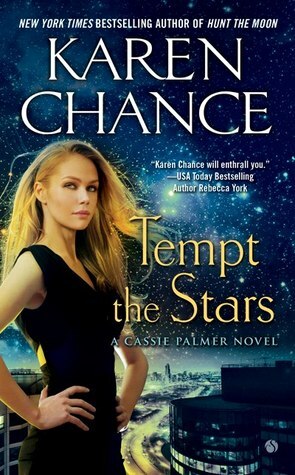 Karen Chance‘s TEMPT THE STARS (urban fantasy): A new Cassie Palmer! It’s only been, oh, two years or so since the last one, although we did get a Dory book to tide us over. I may need a bit of a refresher as to what’s been happening, but a new installment in one of my favourite UF series always makes me happy. 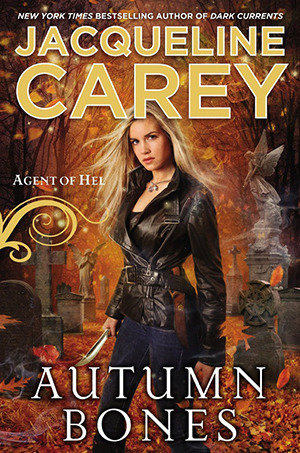 Jacqueline Carey‘s AUTUMN BONES (urban fantasy): I’m a fan of Jacqueline Carey’s writing and enjoyed the first in this series (though I now take back what I said about Norse mythology being uncommon!). Fingers crossed that the love triangle thing is not played up in this book. 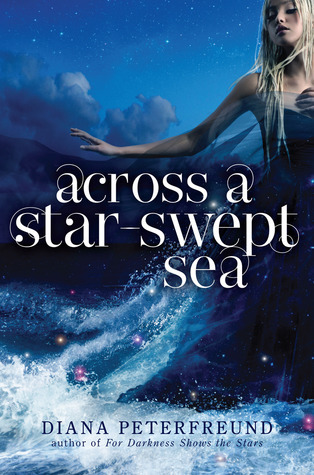 Diana Peterfreund‘s ACROSS A STAR-SWEPT SEA (YA fantasy): The companion book, FOR DARKNESS SHOWED THE STARS, was one of my standout reads of 2012, so I’m looking forward to revisiting Elliot’s world and reading Diana Peterfreund’s re-interpretation of THE SCARLET PIMPERNEL. Speaking of which, I’ve never read it, though I’m pretty sure I downloaded a (public domain – free!) copy a while back – hmmm… to read or not to read? 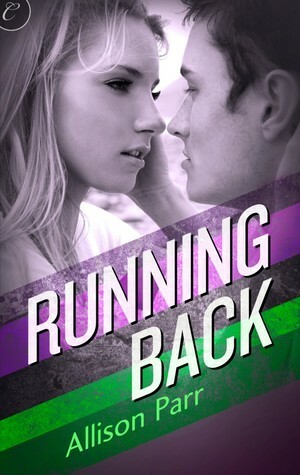 Allison Parr‘s RUNNING BACK (NA): Remember when I had a bit of a fangirl-y moment earlier this year about Allison Parr’s debut RUSH ME? Yes, me too. Companion book alert, and this sounds promising. Kelly Hunter‘s WHAT THE BRIDE DIDN’T KNOW (contemporary romance): Okay, sneaking this in as this is technically a November release – but Harlequin will release the ebook version on its site on 1 Oct.
Special ops expert Trig Sinclair is a man’s man, and that means he knows the cardinal rule of the bro code—no matter how dynamite Lena West is, as his best friend’s younger sister, she’s strictly off-limits! Diane Stanley‘s THE CUP AND THE CROWN (YA fantasy): The first book, THE SILVER BOWL, was one of those books that left me smiling, but I’ve actually been practising my self-restraint for a change and waiting for the second book to be released in paperback. Which it will be on Oct 1. AD Robertson‘s CAPTIVE (romance): I received a review copy, so you’ll be reading more about this soon, but this is YA author Andrea Cremer writing under a different name – same world as her YA books, but with the “steamier” bits included apparently. Is this a trend? I got a Kindle Paperwhite! I’ve no issues with the screen – the display is definitely an improvement over the previous version. Some people have reported a degradation over time, so that may change, but for now, I’m really happy. I’m having some minor issues adjusting to the touch screen – I’m more used to pressing a button to change pages instead of tapping or swiping. I wish there was an option to switch the tap zones around (I think that’s what you call them?). Also, there’s no quick way to skip to the next chapter apart from going via the menu (unless I haven’t found that feature yet). It helps having had a Kindle before, because I found it pretty easy to navigate and figure out how to do things. I don’t think it’s significantly heavier than the previous version, but I find it a bit more difficult to hold in one hand (I think it’s to do with the taps/swipes than the actual weight actually). I still need to figure out how I’m going to transfer all my old books and collections across from my old Kindle (any tips, anyone?) – in the meantime, I’ve been downloading the ones I want to read from the Amazon cloud. 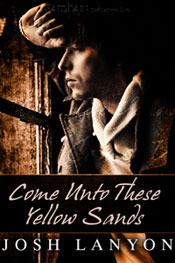 I was totally engrossed in this book, even though it’s been ages since I read the last one, I Shall Not Want (A Rev. Clare Fergusson and Russ Van Alstyne Mystery, #6). 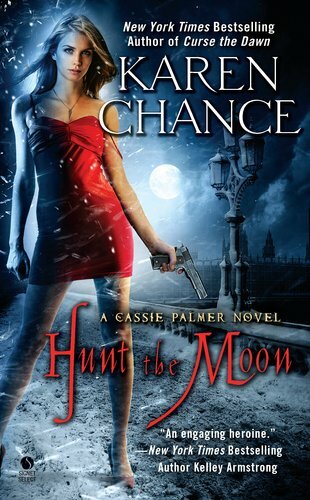 Raw, painful, though ever-so-slightly predictable – it was a good read and I’m looking forward to the next Clare/Russ book. Though I don’t exactly rush out to buy the latest on release date, I know Julia Spencer-Fleming always delivers a good read and is worth the hardcover splurge. I love the books that make you think “Oh, actually, no, I do want more of X” when you could have sworn you had enough of the genre. 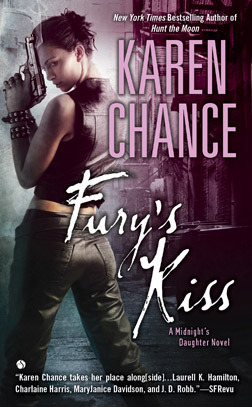 For me, GRAVE DANCE is one of these and had me rethinking my supposed overdose of urban fantasy in recent years. 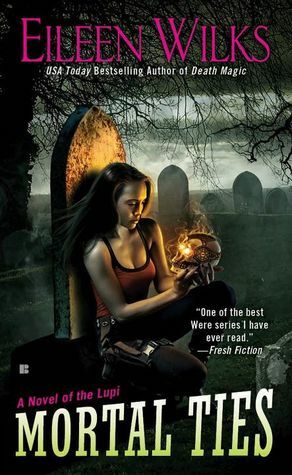 I liked the first book in this series (Grave Witch (Alex Craft, #1)), and DANCE has me really getting into the series – there is great storytelling and world-building here. I loved how Kalayna Price explained the concept of indebtness for fae – having Alex feel the imbalance shift as you thank someone or apologise made total sense. Though I could have done without the love triangle (sigh… if I could ban one plot device, it would be the love triangle), I have to admit both the romantic interests are intriguing, and I want to see what happens next – I’m looking forward to the next book. I liked this one – can you tell? This is one of the very few new(-ish) UF series I get excited about. I haven’t read her other series though – has anyone? 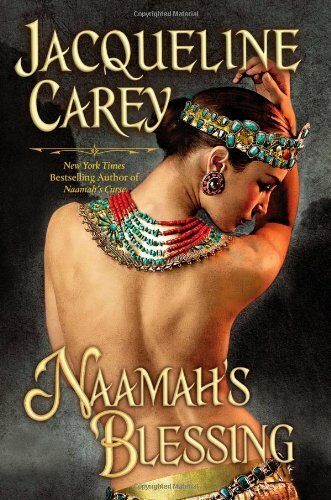 NAAMAH’S BLESSING has not been my favourite of Jacqueline Carey’s three Kushiel trilogies (Moirin and her travels just hasn’t engaged me as much as Phedre or Imriel did), though having said that, I finished this in one sitting despite its length. There’s good storytelling here with genuinely scary parts. And there was a good-wins-out-in-the-end type of ending, which did leave me feeling satisfied. Gosh, I recall some squeam-ish moments towards the end in this book. 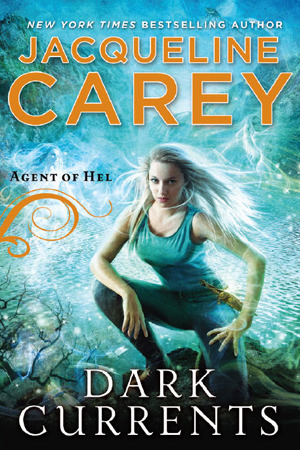 I loved Ms Carey’s Kushiel books but her more recent releases haven’t worked that well for me. Though having said that, her more contemporary UF, SANTA OLIVIA, is still in my TBR pile. I should get started on that. I liked the friends-to-lovers plot, though I’m not quite sure that the device of having a 3rd (or 4th person) explain relationship truths to the h/h really worked because (a) it’s sort of awkward unless yes, they’re very very close and have been a spectator to all your relationships and (b) it would have been more satisfying if the h/h had worked it out for themselves. I did like the writing and would read more by Chris Owen. New-to-me author here, IIRC. And despite my problems with the plot device used, it was a good read. Well, talk about story-telling. 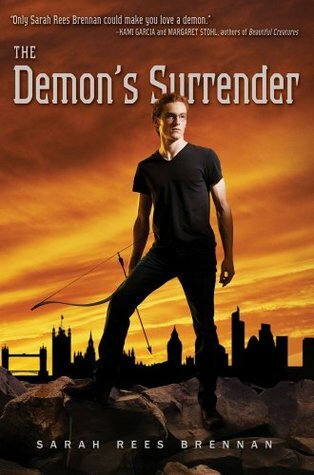 I’m not entirely sure the book left me completely satisfied as a reader, but it certainly kept me hooked, with Jim Butcher blatantly tugging on my heartstrings throughout. The title of the previous book, Changes (The Dresden Files, #12), was certainly a good prophecy for this book and I will definitely be picking up the next. I’ve done an annual recap of books read for the past few years running – this time around, it’s taken a bit more than usual to start writing this (possibly tied to my general lack of blogging motivation this year, you think?). But I like revisiting my reading year – both when writing the recap and also when re-reading them months later – so, well, here we go. I read 11 books in January, and actually, looking at the list of books read, there were some very good ones to start off the year. I finished Diana Gabaldon‘s “An Echo in the Bone”, mainly by dipping in and out over a period of several weeks, which in hindsight, was the best way to finish such a massive tome. The story was so sprawling and epic that I’ve no memory as to what the book is about now, except that I enjoyed it immensely and it had a dratted cliffhanger ending. 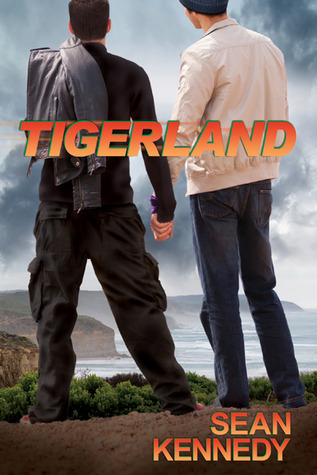 As for new-to-me authors, I read Sean Kennedy‘s “Tigers and Devil” (m/m romance) after seeing it appear on so many Top Books of 2009 lists, and yes, that was totally well-deserved. I loved the Australian setting and even got to grips with Australian Rules football – I think. Steve Kluger‘s hilariously funny yet sweet “Almost Like Being in Love” (rec’d by Nath) was another hit. And I read my first Sarah Dessen (YA contemporary), “The Truth About Forever”, which was very definitely not my last Dessen of the year. 14 books read during February – unfortunately, none really worked for me until the end of the month, when I read and loved both Jacqueline Carey‘s “Naamah’s Kiss” (the first in her latest Kushiel fantasy trilogy, which held me enthralled from beginning to end) and Mary Stewart‘s “Touch Not the Cat” (romantic suspense, and one of the few books I missed during my Stewart glom back in 2008). I read a few more Dessens, but none really as good as TTAF. And that was about it in terms of memorable reads. Nine books read over the month, including two of Seanan McGuire‘s Toby Daye books, which takes my “Best New-to-Me Urban Fantasy Series of 2010” trophy – I have to include the new-to-me caveat, as the first book came out in 2009, but got buried in the glut of new UF releases. When I finally got around to reading “Rosemary & Rue”, I was totally captivated and promptly followed up with the second book, “A Local Habitation”. Ms McGuire’s Faerie/San Francisco world is incredibly refreshing and real, Toby is developing into a heroine you can properly get behind (character growth, I love you), and there is Tybalt. The King of Cats. Ahhh. 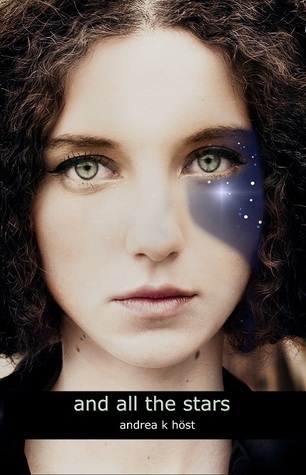 Apart from that, I read my first Jennifer Echols, “Going Too Far” – more YA contemporary! 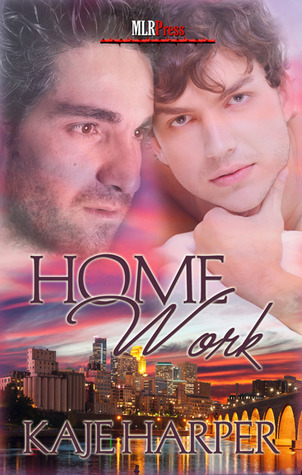 It was good – strong characterisation, compelling believable romance – and I wanted more. I was back up to 11 books this month (as an aside, I’m surprised I was reading as much as I’ve been over the months) and it was a good one. I loved Lisa Lutz‘s “The Spellmans Strike Again”, the latest madcap adventure in The Spellman Files books and oh-so-satisfying (character growth! ), and also Patricia Briggs‘ “Silver Borne” (I have not read a lacklustre Mercy Thompson book yet). And Jim Butcher‘s latest Dresden Files book, “Changes”, was great storytelling, as always. Elizabeth Peters released a new Amelia Peabody (I have no words to describe how much I was anticipating this one) and while it was not one of the best Peabody books, it was just so good to revisit the whole cast of characters again. Finally, a new-to-me author this month was Sarah A Hoyt and her “Darkship Thieves” (which Janicu has just reviewed), which was an excellent blend of space opera and romance. Here’s a much more timely post than I’ve managed for the past two months running. However, is it just me or are June releases thin on the ground? The only book I have on my must-get list is Jacqueline Carey’s “Naamah’s Curse” (fantasy) – the second book of her latest Kushiel trilogy, this is an auto-buy for me. I thought the first book, “Naamah’s Kiss”, had a slightly different feel to Ms Carey’s previous Kushiel books, maybe because the narrator was Alban-born and had a more pragmatic worldview than the previous two narrators, but I was still pretty much swept along from the first page, and can’t wait to read the follow-up. I’m delighted the UK edition (cover on the left) is being released in the same month as the US one, else I’d be very tempted to shell out the cash for the US version. I grabbed Lynn Flewelling’s “The White Road” yesterday while browsing in the bookstore, and really, that was the last of the June releases on my list. Janet Evanovich’s latest Stephanie Plum, “Sizzling Sixteen”, is out June 22 but I’m hesitant to buy hardcover because the recent books have been, well, lacking, shall we say? Same with Laurell K Hamilton’s latest Anita Blake book, “Bullet”, which I’ve also seen out on shelves now, in its bright-red glory. I’m holding out on both of these until I see more reviews. I must be missing some June releases surely – what other books are you planning on getting this month?